Hey everyone! Just wanted to post a reminder that you can enter for your chance to win all three of our upcoming collections!! Each giveaway is linked underneath the photo...just be sure to following the commenting instructions in each post!! Comments are open until July 20th! We have loved hearing your responses so far to our three new collections!! Thanks so much for the outpouring of compliments and support....we couldn't do this without you!! They are stunning, love them all! Yesh indeed! I love every collection! Oh my God. How can you not love these? Your designs are amazing. Congratulations. I love them all but the blue is my favorite. I love the paper!! The pink collection is lovely!! 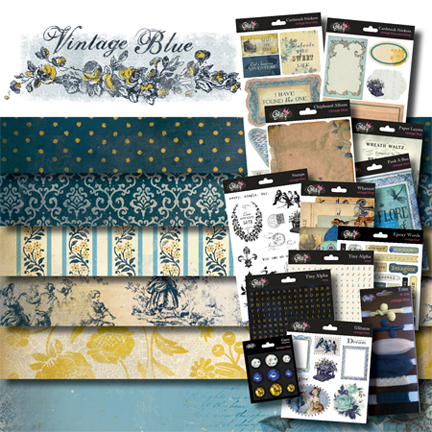 the majority loves Beautiful Dreamer and Vintage Blue. Cannot wait to see your papers in the Dutch stores! I have fallen in love with these collections... very classy! I cant wait to work with them! Beautiful! Congratulations for such a successful showing! All three lines are beautiful and elegant. I love all the coordinating embellishments to go with the stunning papers. So gorgeous! Just keeps getting better and better at each release.. I am finding myself turning to Glitz Design alot of times for my projects! They are ALL so Beautiful!! The Blue is my Favorite!!! Wow these are absolutely gorgeous! Cant wait to get my hands on them! Wow these collections are simply gorgeous. I love them all! I will need all 3!! LOL! GEE can't wait to be able to grab some & have a play!!!! Love them all!!! I particularly love Dance in Sunshine. Wow you have excelled! truly contemporary and I love them all! I am loving all of these collection's. would'nt that be fab to win all of that!!! Once again, you guys have hit the ball out of the park! These are all amazing!!!! I adore all these 3 Glitz papers & embellies...who could not! That elegant & vintagey feel just catches me. What amazing designers you have! I am so completely in love with every single collection here. All so beautiful. Great Job! Totally and utterly LOVE them all three!!! Stunning papers. Gorgeous and usable stamps(LOVE, LOVE). And lovely decorations! They are AMAZING! Just had to pop in and tell my DT girls are telling I HAVE to get all 3 ranges in store and OMG they are right ... GORGEOUS! Well it was just awesome...... Just keeps getting better and better at each release..I am finding myself turning to Glitz Design alot of times for my projects!Your blogs are nice..
WOW! i loved the collection and i love pink! So gorgeous! i love going through your post! keep blogging! Nice designs and each giveaway is linked underneath the photo. All cards awosome.all collection are nice. Well really nice post..I liked it..Thanks for sharing it with us..
Would be awesome to win!your designs are amazing this collection is lovely!! Wow, these are totally inspiring!! Such great and memorable shapes really characterise Damon Bard's work, a truly great traditional sculptor!! I think the real and overall purpose of this post, though, is to give the final reminder for winning just a collection. Generally I do not post on articles, but I would like to say that this article really forced me to do so! As you mention your comments are open until July 20th so what about those who are posting comments after 20th July,we also want to win..
vintage Blue Giveaway ,Dance In Sunshine Giveaway on July 2oth. Get off! and give us some other method to win one of these things. Not everyone uses it. Do you get a kickback from them or something? I love these designs. Your designs are too good and I got a great ideas to make creative and attractive gifts for loves ones.Your designs are so amazing. I loves your designs. it was just awesome...... Just keeps getting better and better at each release.your designs are so amazing. I really impressed. Such great and memorable shapes really characterize Damon Bard's work, a truly great traditional.Thanks for this idea. All designs are really very lovely.. I like the "Vintage Blue" especially. I really love them all and I love every collection.Congratulations for such a successful design. I like it.I have fallen in love with these collections... very nice. Thanks for sharing with us. I like all but blue is nice .designs are amazing. 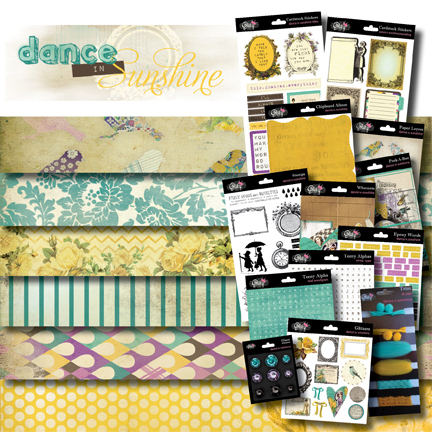 vintage Blue Giveaway ,Dance In Sunshine Giveaway. Thank you once again for your love and willingness to share your feelings. I hope the best ones to be the winners of this upcoming contest of all three Beautiful Dreamer Giveaway. Thank you for sharing nice article..